E-commerce is becoming an increasingly valuable business tool in today’s world. A recent paper from the Center for International Development at Harvard University states, “Perhaps the clearest indication of the growing importance of e-commerce in the global economy is the rapidity with which Internet use has grown and spread during the last decade.” With consumers all over the world looking to the internet for information, goods, and services, it is vital that your business take advantage of e-commerce technology and embrace the future of consumerism. Investor Words defines e-commerce as “the buying and selling of products over the internet, […] any transaction that is completed solely through electronic measures can be considered e-commerce.” The first part of this definition invokes visions of what most would consider e-commerce – a site such as Macys.com where a consumer can purchase goods online rather than in store. Although this is one very important aspect of e-commerce, it is not the only form available. There are four types of e-commerce: Business to consumer (B2C), business to business (B2B), business to government (B2G), and consumer to consumer (C2C). Business to consumer e-commerce is the most commonly thought of form of online business. It includes all websites that are business owned and target a consumer audience (again, think Macy’s.com). Business to business e-commerce describes transactions which occur strictly between businesses. It is the selling of services or goods from one business to another – think of a manufacturer to wholesaler relationship. Business to government e-commerce includes transactions made between businesses and the public sector, such as “procurement, licensing procedures, and other government-related operations.” Finally, consumer to consumer e-commerce involves the sale of goods or services between private individuals. Sites such as e-Bay and Craigslist have made consumer to consumer e-commerce a significant part of e-commerce as a whole. With the variety of e-commerce models in practice, it is likely that e-commerce can be a valuable tool for your business. Why do consumers purchase their goods online rather than in-store?It could be that they do not live near a local branch, that they prefer the ease of online shopping, or that they simply lack the time to visit a store. These days, time is money. From a consumer standpoint, it is more efficient to shop online because it saves time. Rather than having to drive from store to store, shop, and stand in line at the register; consumers are able to log onto a website, browse, and checkout quickly without having to leave their home, thus saving time for more important things such as soccer games, piano recitals, or golf outings. The same is true on the business end. Online stores save businesses money when compared to traditional commerce methods. 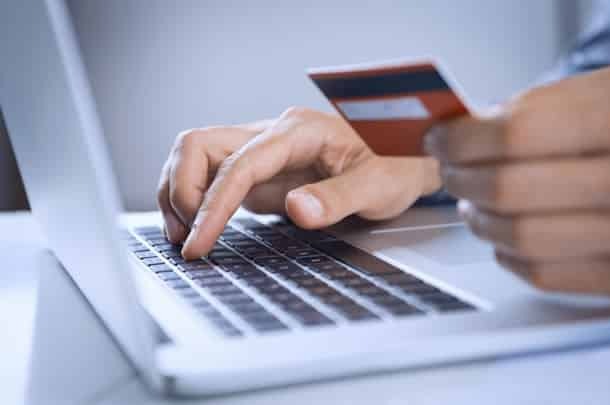 Through e-commerce, a business is able to spend less time on each transaction thereby allowing more transactions to be completed during a day. This idea can also be applied to business to business e-commerce. Business A can research a variety of businesses and products online prior to choosing business B. Rather than spend an entire day in meetings with potential clients, a business can narrow its choices through online “shopping” to a select few and save time for other tasks. E-commerce is the perfect solution for a company whose target audience is a niche market. If you sell a specialty item then you NEED to be online. Why? Because e-commerce websites have proven especially successful to retailers whose core audience is a highly segmented part of the overall population; for example, specialty dog breeders. Consumers flock to the internet in search of specialized items they can’t regularly find in stores. This is even more evident for residents of smaller towns who don’t have access to specialty shops. The beauty of owning a business geared toward a niche market is that “you immediately turn a commodity into an oddity – a unique, differentiated product with a defined target demographic.” If you sell a product that you believe in and that can stand out from the competition, you are going to find consumers through an e-commerce website. Unlike a traditional business, an e-commerce website has low overhead costs. It is relatively cheap to design a website with an online store. With the right small business design and internet web marketing your online store has the potential to increase overall business sales. It can serve as an extension of a physical store, or can replace an actual storefront all together. Starting an online business, particularly one with an online store, has certain advantages over starting a traditional store. For one thing, you don’t have to worry about fronting the overhead costs of running a traditional business: things like rent, phone bills, and utility bills disappear in the online world. This is because an e-commerce store needs no physical location to remain operational. Although many people claim they can design your store for very little, it is best to have a professional web site design firm design your e-commerce website in order to ensure it is done right the first time. In no business segment has the power of online consumerism been more evident than in the book industry. Take for example, Borders Group, Inc. Borders expanded from a small-town bookstore into a nationwide mega retailer throughout the ’90’s. However, a failure to recognize the emergence and increasing importance of e-commerce led to a bankruptcy protection filing earlier this year. Reasons cited for Borders’ collapse include overzealous expansion plans, a high number of stores that were draining the company of profits, and a failure to realize the popularity of online bookstores and e-books. In 2001 Borders relinquished control of its online bookstore to Amazon – just as e-commerce was gaining popularity among consumers. It wasn’t until 2008 that the company took back its website. Borders also failed to address the demand for e-books and e-readers and waited until 2010 to launch its own version of Amazon’s popular e-reader, Kindle. Furthermore, Borders faced problems with maintaining an edge over its competitors in terms of pricing. A comparison between any list price book sold at a Borders store and an Amazon.com search will demonstrate to the consumer that e-commerce often allows a company to sell products at a discounted rate. Last week’s news that Amazon’s milestone of Kindle book sales surpassing hardcover and paperback sales indicate that consumers are using technology not only to buy products, but to use those products in a high-tech way. Check back next week for our exciting conclusion to “Putting the ‘E’ in E-Commerce: 8 Reasons Why You Need to Conduct Business Online!” And as always, if you have a web-related topic you want to learn more about, email your suggestions to Hope Hall at hyy@affordablewebdesign.com! Have a great Memorial Day weekend everyone!